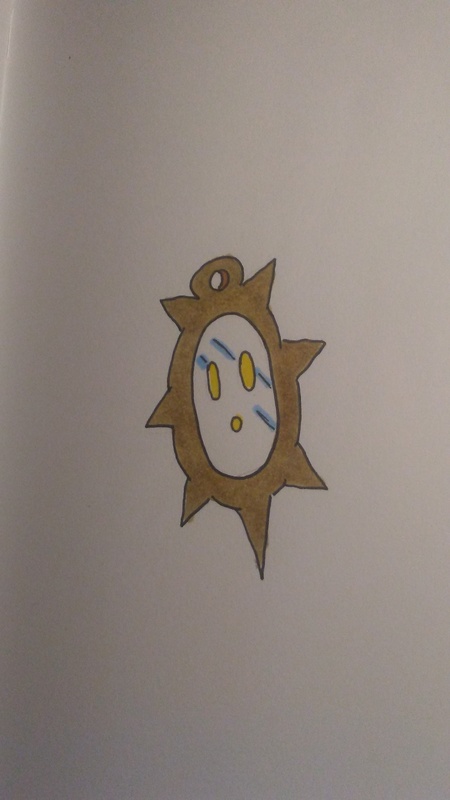 Mirraunt are ghost Pokemon who are trapped inside of a mirror, but do not understand their plight. Due to this, Mirraunt are friendly Pokemon who are fascinated with the living, frequently playing jokes on them. Mirraunt’s favorite prank is to cause someone’s reflection to do the opposite of what they are actually doing. A Mirraunt has been known to go on doing this for several days before revealing it’s true identity. Mirraunt is a haunted mirror. 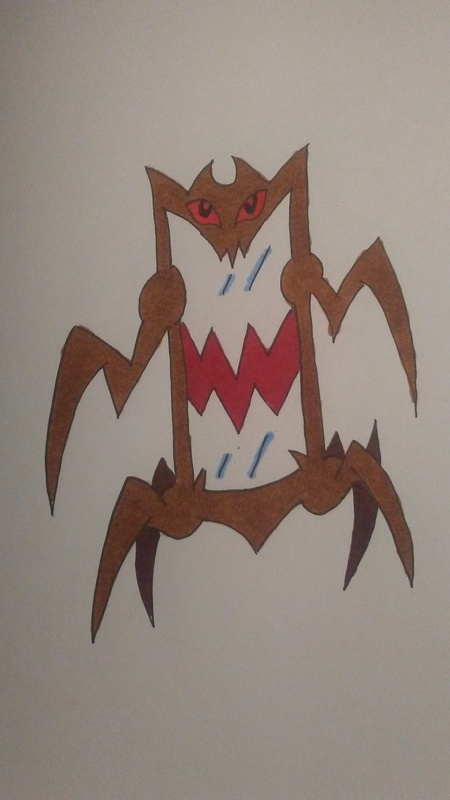 It’s name is a combination of “mirror” and “haunt”. Replenant are ghost Pokemon who slowly siphon off the life force of those who gaze into it. Replenant show the user what it wants to see, making them appear younger, more beautiful, thinner, or whatever else their heart desires. While the amount of life force Replenant steals is apparently small, it’s unclear if it knows it is doing it or simply trying to be kind to the user. 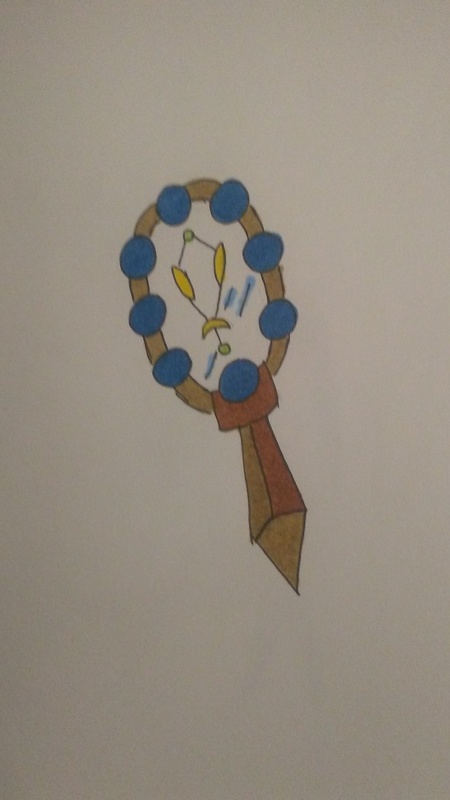 Replenant is a cursed mirror. It’s name is a combination of “replicate” and “revenant”, which is a type of undead. Dopplescare are wicked and cruel Pokemon who are obsessed with feeding off the vitality of humans. Able to appear as a large and ornate mirror, Dopplescare will stay in a home for decades, draining those who look at it. This process rapidly ages the victim until they eventually pass away. Once discovered, Dopplescare will not simply flee, but will instead unleash it’s claws and teeth, attacking all who know it’s true intentions. Dopplescare is a large haunted mirror. 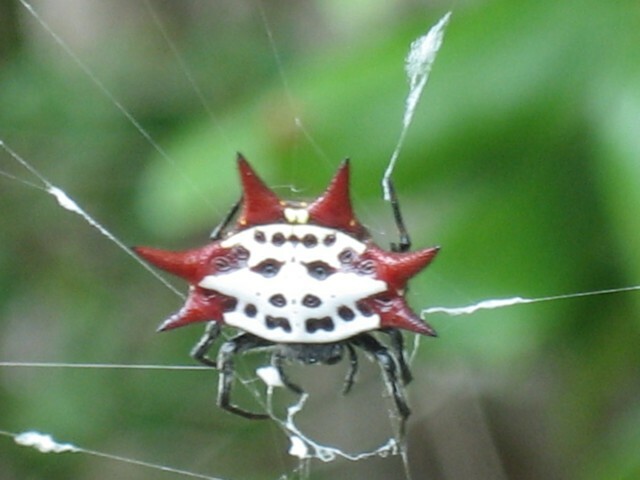 It’s name is a combination of “doppleganger” and “scare”. The next few won’t have names for the safety of my friends. The Hidden Demeanor Pokèmon, is very friendly but has an attitude but it gets very angry quite rarely. It also has a soft spot for young children and young Pokèmon. So a quite decent pokemon. Sharklet were aggressive predators who were unafraid to take a bite out of anything. 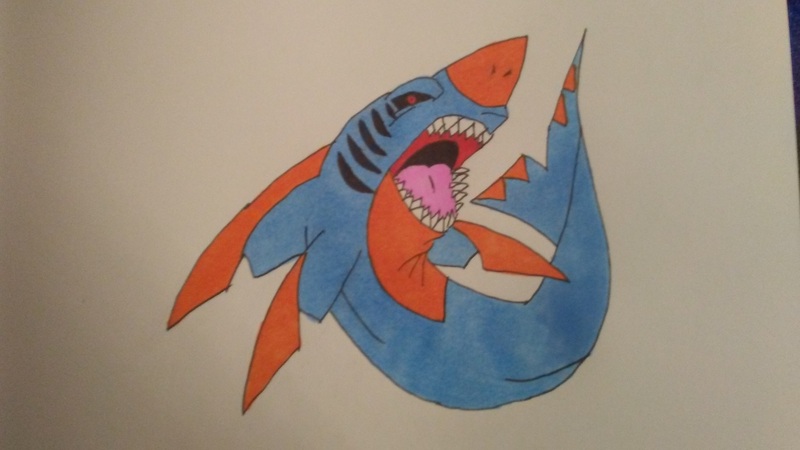 Even if not hungry, Sharklet would routinely eat. In some cases, it is believed that a Sharklet would eat itself to death by consuming way more than it could hold. 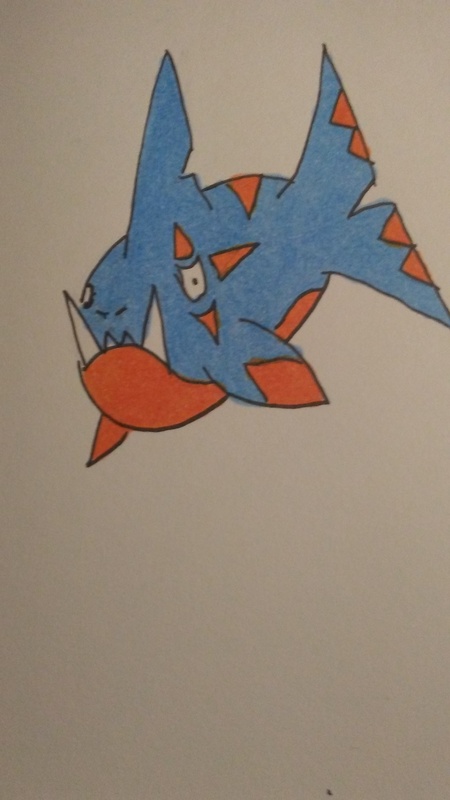 Even if a far larger Pokemon crossed it’s path, a Sharklet would attempt to take a bite out of it. Sharklet is based off of a juvenile Megalodon. Their name is a combination of “shark” and “gullet”. The undisputed king of the ocean in their time, Predalodon ruled the sea with no competition. No longer able to eat itself to death like their pre-evolutions, Predalodon spent their entire existence hunting and eating anything that moved. Quick and cunning despite it’s colossal size, this shark-like Pokemon was the most feared predator for thousands of years. Due to their aggressive nature, however, not many of them lived long since they had no problem also attacking each other. This made them a very rare encounter and also potentially led to their extinction. Predalodon is based off a prehistoric megalodon. It’s name is a combination of “predator” and “megalodon”. At just under 38’ feet long and 1,000 pounds, Predalodon is one of the largest Pokemon in any dex.